Are you looking for a natural way to rid a garden or yard of unwanted pests like aphids? The use of a chemical pesticide is poisonous overkill as it will often kill both the bad and the good bugs. One way for you to naturally remove certain types of pests is to release ladybugs into your garden. 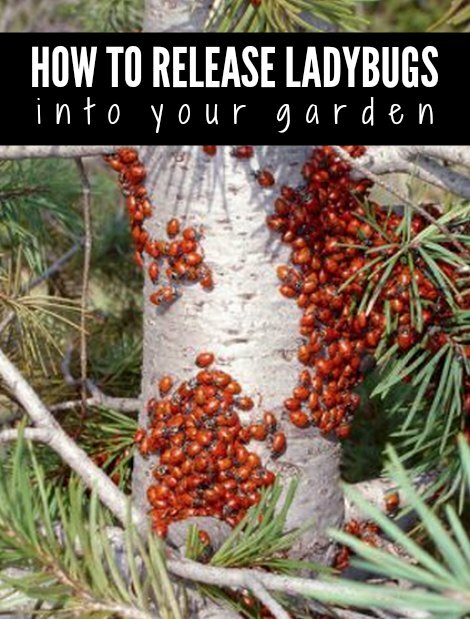 You will be surprised at the results you will see when you release ladybugs into your garden. The one issue you will need to overcome is keeping them contained in your yard or garden. This is easily be done if you slow down their metabolism. The time of day you release ladybugs into your garden is also critical. However, there are a few tips for keeping them contained in your yard that can be used to ensure they stick around for awhile. This is a really awesome way for you to use nature to combat pests without using any harmful chemicals.